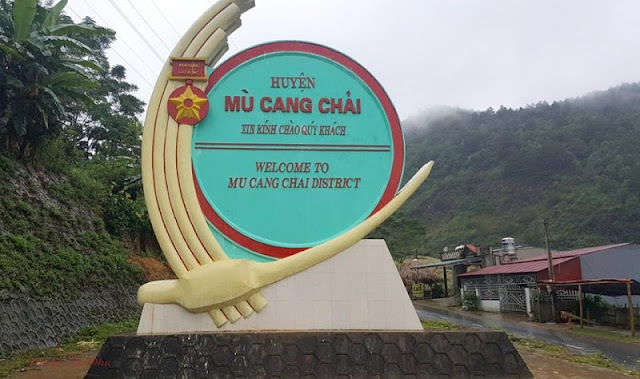 Mu Cang Chai (Yen Bai) is a name that, when mentioned, evokes a distant land. When the northeast winds are cold, it is time for ethnic people here to start harvesting rice. The wonderful terraced fields have created the characteristic features of this land. Take Highway 32, Khau Pha pass (in the Thai ethnic people, Khau Pha meaning Horn God) is to Mu Cang Chai. Autumn sunshine as pouring gold into the terraced fields winding, connecting each other to the horizon. The name of the village, the name of the commune is also sincere and rustic such as La Pan Tan, Che Cu Nha, Nam Co ... The names bear the imprint of the mountain provinces that appear in turn. 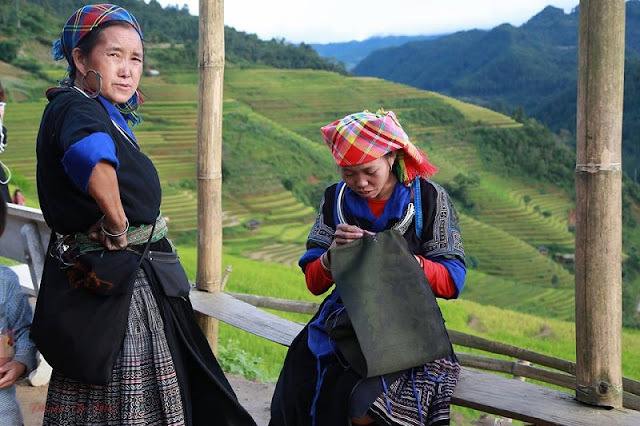 The Khèn of the Mong people is used as a symbol for Mu Cang Chai district. Mong people make up the majority of the district's population. They created terribly terraced terraces where little is known. 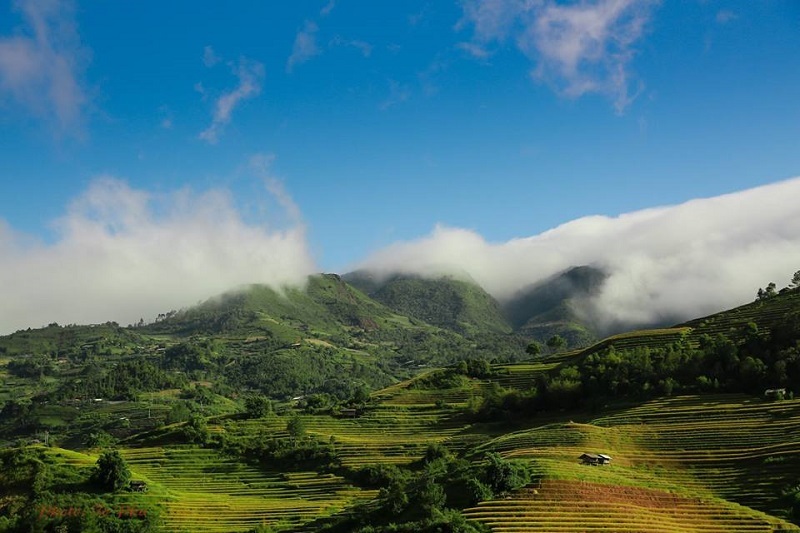 Mu Cang Chai has high terrain and steep slopes. This is where the Mong people live. The high waterfall on the high mountain is enough to see the perseverance and patience of Mong people. Constructing the water from high mountains to the village, terraced fields are enough to see the persistence and patience of Mong people. From generation to generation have created terraced fields of soft ladder connected. Who once came to this land seemed to be dazed by the unique beauty of the Northwest. Early October is also the time when rice is ripe. 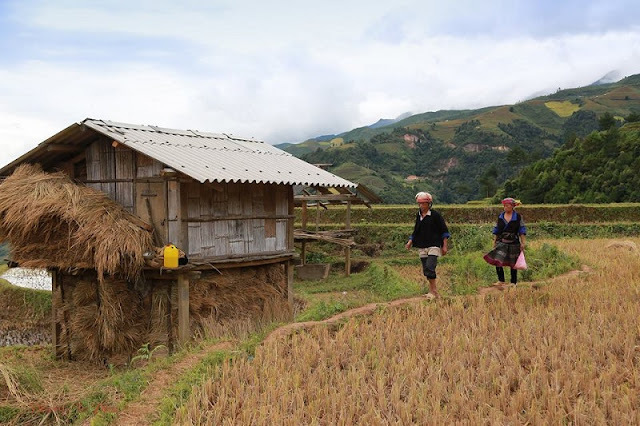 H'mong people harvest winter rice. One year they grow only one crop. 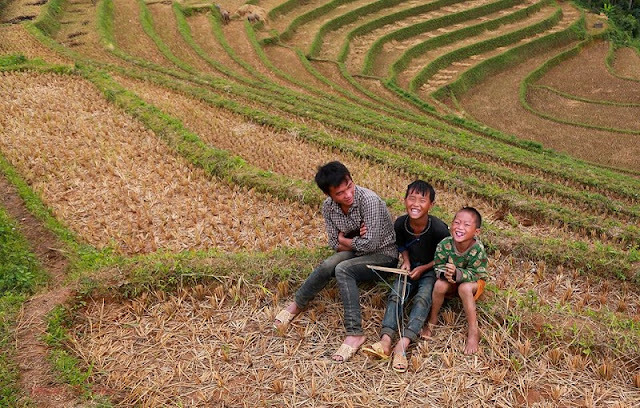 The terraced fields that cling to the mountainside are works of art by many generations of the Mong people builders. The innocent smile of the upland children make tourists forget how tired of the long journey. Mong women - very familiar image in Mu Cang Chai. They work from morning till sunset. They go to the fields, do housework, and sit in embroidery. Simple houses are erected next to terraced fields. 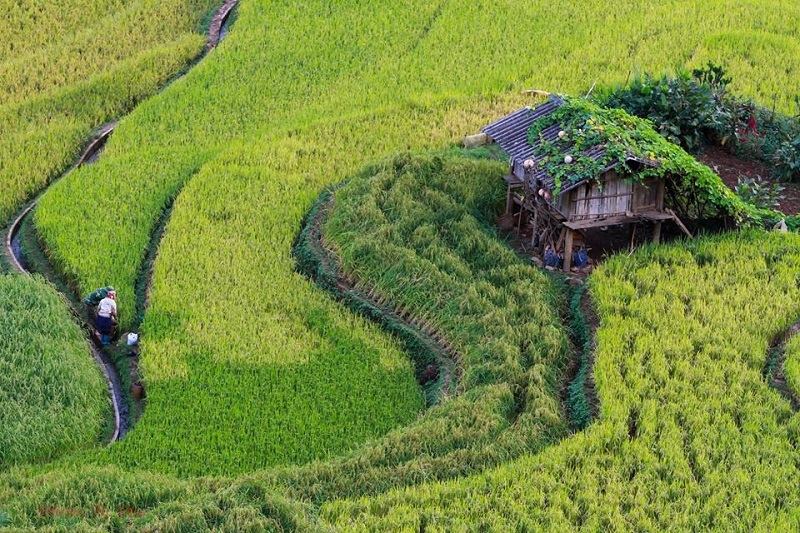 It is also the highlight of Mu Cang Chai make visitors impressed. A combined itinerary of Sapa & Mu Cang Chai is a unique tour that many visitors choose. There is no reason to stop you from possessing it if you are a natural lover and a passionate explorer.